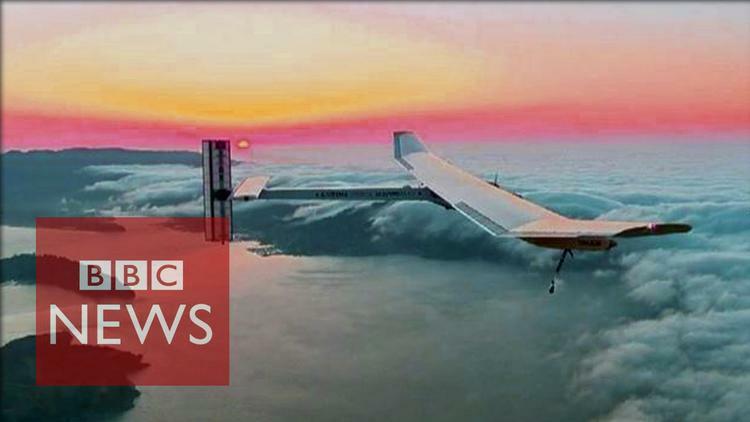 “The plans have been set for the solar-powered plane, Solar Impulse 2, to take off from Abu Dhabi and then fly around the globe using only the sun’s energy. With a wingspan of 72m (236ft), Solar Impulse 2 is the width of a Boeing 747, but weighs about the same as a large car. Its predecessor, Solar Impulse 1 has already been flown across America and stored sufficient power in its batteries to fly all night.